Full size stadiums, breaking through a banner while music blares, cheerleaders and parents cheering them on, standing for the national anthem, PA announcers calling the game – Needham Junior Football is best experience you (and they’ll) have in youth sports. At NJF, we are dedicated to providing a safe and fun environment where kids can learn to love football and learn important life lessons at the same time. Safety – This comes above everything else. Top-of the line equipment. Limits on hitting in practice. 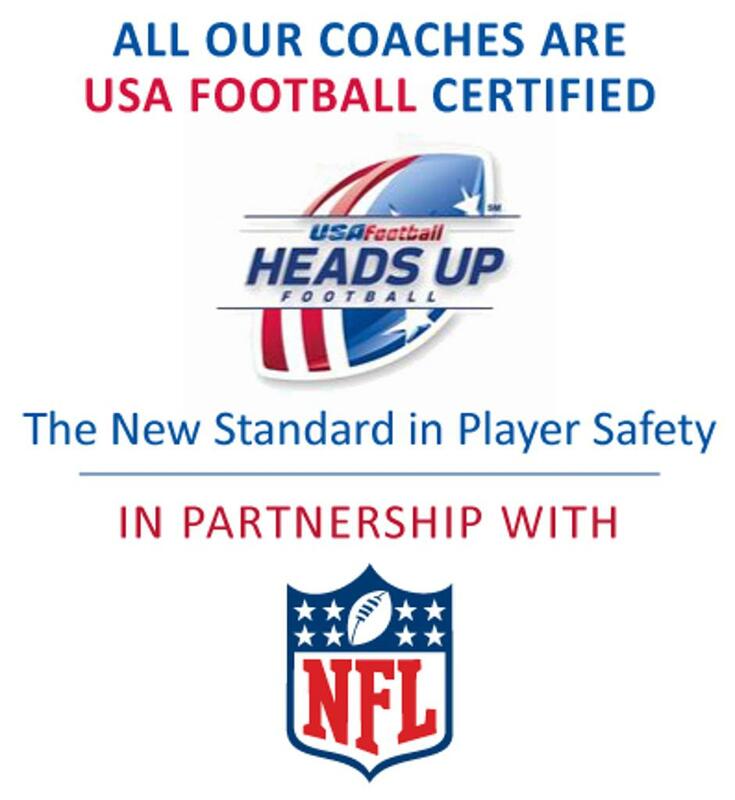 Detailed concussion protocol, training and testing, plus EMT’s at every game. Fun – Everything about our practice plans are geared to be fun and fast-paced, while the games are amazing. It won’t be hard to get them to practice or the games. Fundamental improvement – Being fundamentally sound makes things safer, and as kids improve it is always more fun. We are focused on developing all kids into a cohesive unit that performs well in the fundamentals of the game. Positive team results follow. When we focus on the above, it provides a great opportunity for our kids to learn the great lessons taught by football, while fielding a competitive team. They benefit from these long after their football days are behind them.